This animal, as you can see, is called a tiger. 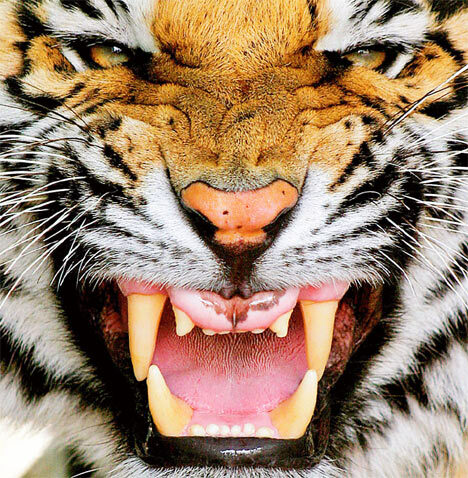 It is as big as a lion and lions are very big and tigers have big teeth to rip and tear other animals for dinner. Tigers are very fast but not as fast as a cheetah. Tigers have big noses to smell out other animals. 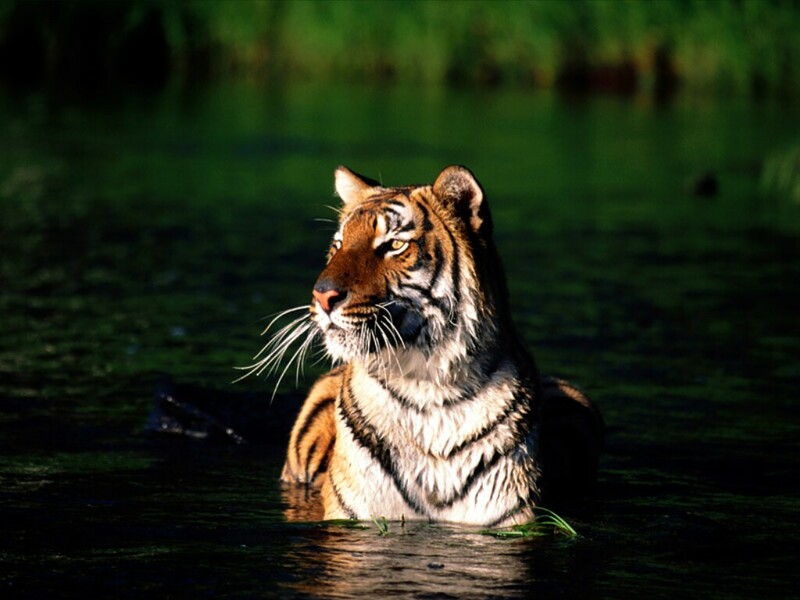 Tigers have long fur to keep them warm all day long, also the colour of their fur is orange, white and black. 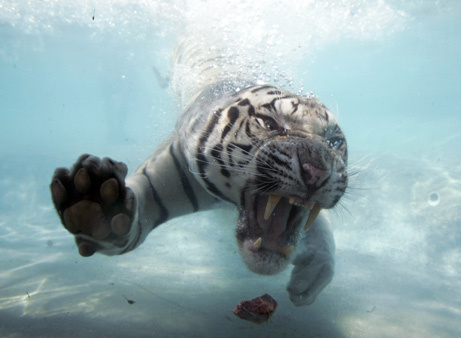 Tigers are very dangerous so in zoos they keep them in cages. The main place you find tigers is in India. Tigers mostly hunt at night. A tiger will be as big as my couch. 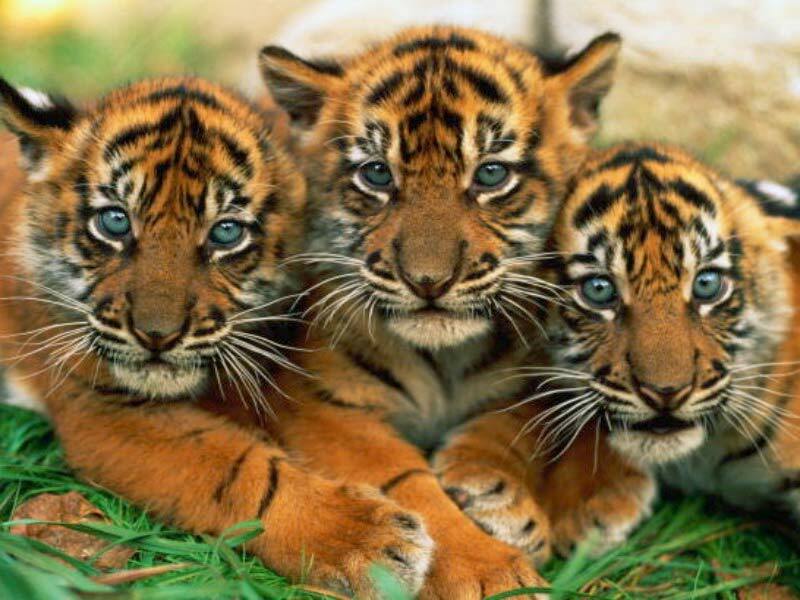 Did you know that the tiger is the worlds favourite animal.